Auckland - Jump on board MV Sea Tour and explore the glorious waters of Auckland's Gulf Harbour. Get expert advise from our crew with over 25 years experience, they know where all the best spots are! Our 40 ft boat will comfortably serve up to 20 people fishing and don't worry about rods, reels, tackle and bait. We can provide it all! Call or email now to book! Taupo - Experience an all inclusive New Zealand fishing vacation with Fishing in New Zealand. Fly fish for rainbow and brown trout by day and enjoy luxury lodge or wilderness river cabin accommodation by night. TAUPO - Bravado III is a fully refurbished 11 metre (36 ft) luxury Markline 1100 vessel, with twin Volvo Penta 210 hp engines (shaft driven) producing a cruising speed of 20 knots and surveyed for up to 19 people. 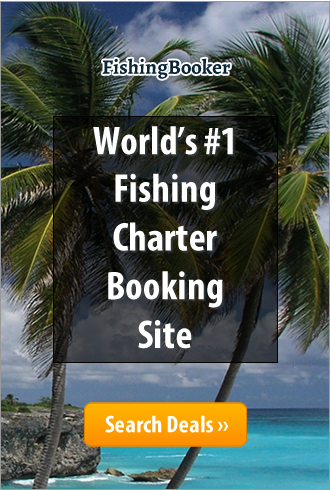 The minimum fishing charter time is 2 hours, but we would recommend 3 hours or more. For the truly dedicated fisher-person, Bravado III allows you to fish in all weather conditions in total comfort. Whitianga - Fish the waters of Mercury Bay and outer islands for big game or smaller quarry. Joe, your skipper has over 25 years experience fishing these waters and is the area export in the Spot X fishing guide ... all those secret spots are at your disposal. Information and advice from a wide range of top New Zealand charter boats and fishing guides. Fishingpro puts you on the right boat. Full details - including rates and direct owners contacts for over 300 charter vessels all over NZ and the South Pacific.